One problem about existing PR module of OpenERP is that, it is too simple and in most case does not enough for real life business. 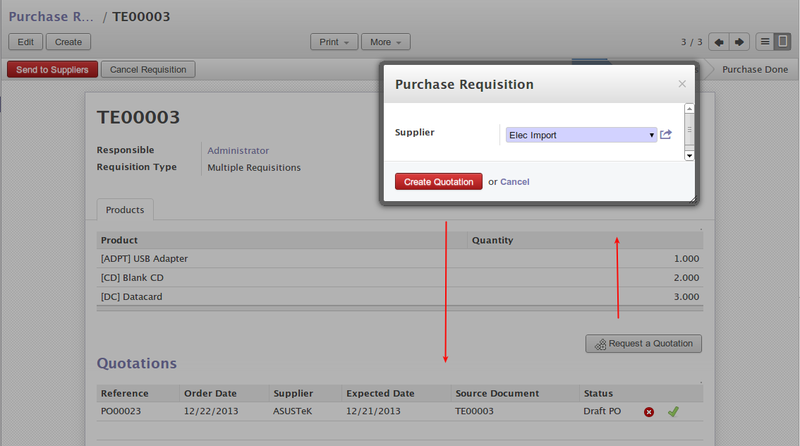 Standard PR allow user to select only 1 supplier per creation of the purchase quotation. 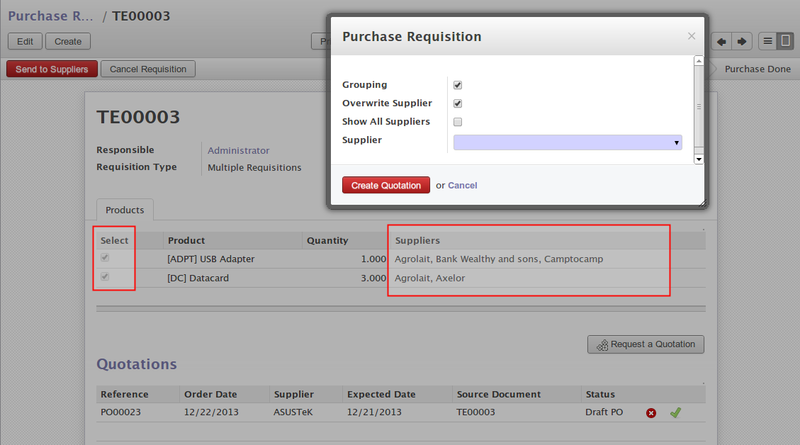 Ecosoft has developed a new extension to PR module which will make it more flexible and easy to use and is now freely available at http://apps.openerp.com (search for purchase_requisition_multi_supplier). As you can see, this is a bit cumbersome, given that a PR request from 1 user can consist of many product of which might be valid only to some supplier. And that, user might not know that from when they request for products. To make it more flexible, the new addon allow user (and/or purchase manager) to select multiple suppliers in each line of products, also with the option to group, split, overwrite supplier. Clicking [Request a Quotation] button will create multiple purchase quotations each with valid supplier in one go. User / Purchase Manager, who knows supplier to source for product select 1 or multiple suppliers in each product line. Multiple quotations created to appropriate suppliers with all product lines being specified, in one go!